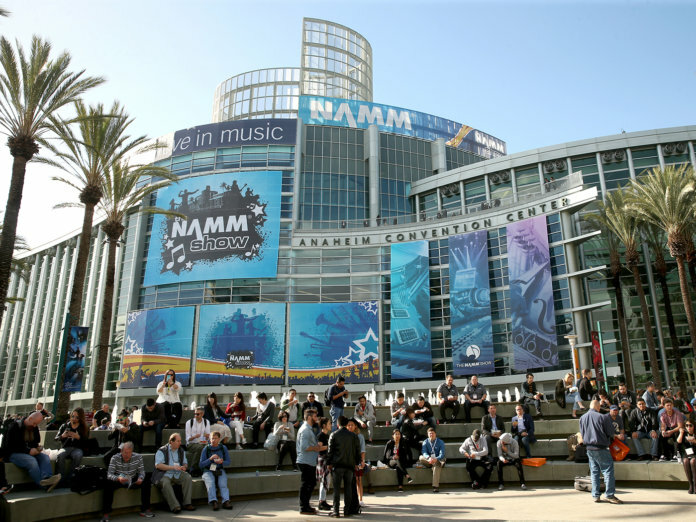 When and where is Winter NAMM 2019? We’ll be reporting live from the show floor, bringing you all the latest news and demo videos so you’ll be able to see the hottest new guitars, amplifiers, effects and accessories at NAMM 2019 on your phone, tablet or computer. Make sure you follow us on YouTube, Instagram, Facebook and our website! Eastman is counting on some innovative technology for its new Double Top series. The models in this range feature a unique modification to their top tonewoods, which aims to make them more resonant and responsive. The brand previously updated its antique varnish series with new finishes and headstock designs. The T59/v model, in particular, now comes in an arresting antique red finish. Reverend is pulling no punches with some stunning signature electric guitars for Rick Vito and Greg Koch, as well as a new Trickshot model. Along with these, the brand also unveiled some lovely signature basses. Cort has turned heads with the Little CJ Walnut. This smaller-bodied guitar produces a larger sound than its size suggests. Cort previously debuted the MR720F acoustic-electric guitar, which features the brand’s CITES-approved Evorose tonewood. Heritage has lifted the lid on four Masterbuilt custom shop guitars: the H-137, H-150, H155M, and Custom Eagle Classic. These models have been built with special attention to detail. Harmony has officially revealed four guitars for 2019: the H44, H19, H72, and H63. These models span reissues as well as redesigns. 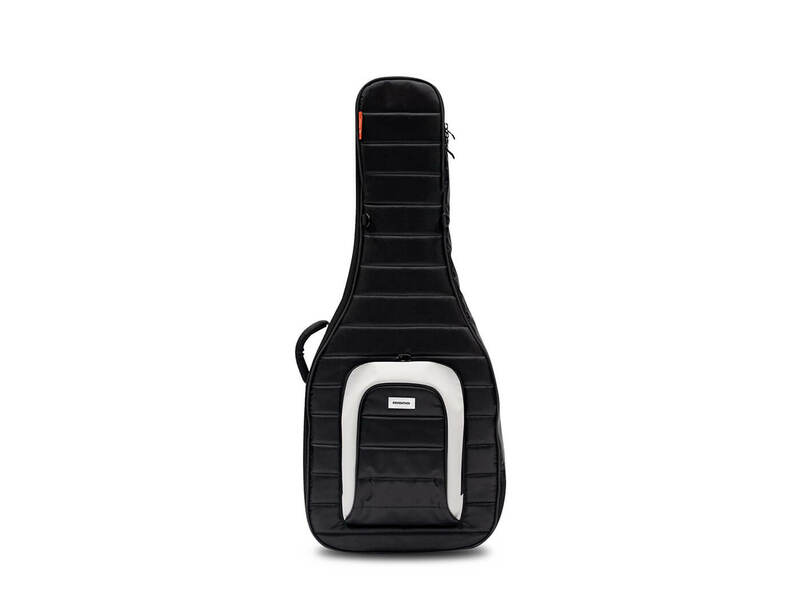 Lowden has made a buzz by teaming up with Ed Sheeran on a line of affordable acoustics. The Northern Ireland brand previously unveiled a flurry of updates and releases, along with an exquisite limited-edition Winter 2018 collection, which is likely to make an appearance at NAMM. Framus has pulled back the covers on its 2019 Electric guitar range. There are some standout pieces in this collection, including the Pro and Custom series guitars which come in some spectacular finishes. Vigier has revealed the new GV Hollow model, which features a naturally-aged alder body, a flame maple top, and Schaller hardware. Maton has announced fresh updates to its Blackwood acoustic series, which features a new 808 cutaway Nashville model. The brand has also unveiled a new all Blackwood series. Taylor has launched the Grand Pacific range. The brainchild of master guitar designer Andy Powers, this slope-shouldered dreadnought design comes with the brand’s V-class bracing. The range makes its mark with three new models: the 317, the Builder’s Edition 517, and the Builder’s Edition 717. Aside from these new models, brand founder Bob Taylor also provided an update on Taylor’s sustainability projects in Hawaii and Cameroon. Gibson is looking to get back on track with an impressive range of guitars. Headlining the brand’s offering are a collection of gorgeous custom shop models, including a 60th Anniversary 1959 Les Paul and a special Chuck Berry Tribute ES-350T guitar. The brand previously released a brand-new Generation G-45 acoustic line along with some beautiful ’50s- and ’60s-spec’ed Les Paul standards. That’s not all from the legendary guitar company: it previously unveiled the limited-edition Chris Cornell Tribute ES-335 as well as some eye-catching solid body models. The 2019 show will be a first for Gibson’s new CEO, James ‘JC’ Curleigh, so you can bet the pressure is on. 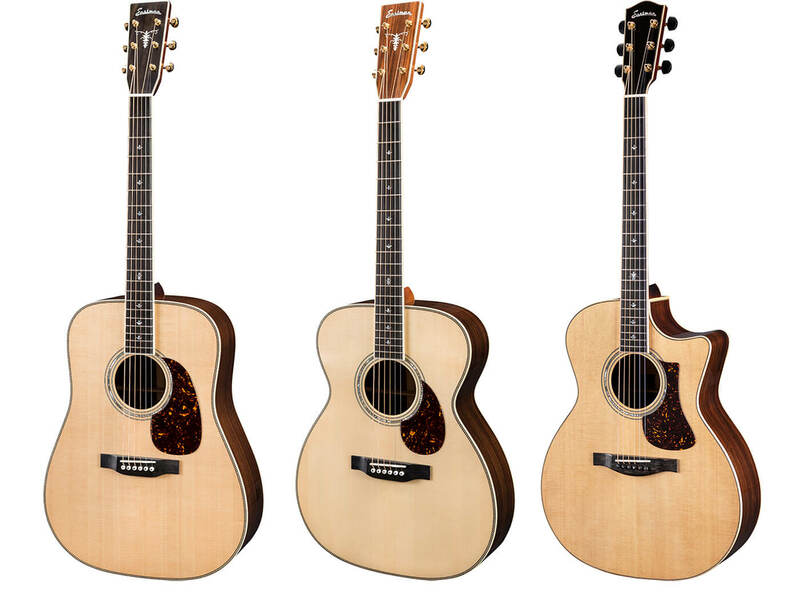 Guild is off to a strong start with its USA-made maple jumbo acoustic models. Available in six- or 12-string configurations, these guitars feature a stunning three-ply pressed maple back. Godin has lift the lid on the Summit Classic A/E, a versatile semi-hollow model that can produce both electric and acoustic tones. The guitar’s also decked in a beautiful Havana Burst finish. The brand previously unveiled the Daryl Stuermer DS-1 signature guitar and launched its first-ever acoustic line. Jackson is pulling no punches with its massive line-up. The brand has introduced some stunning signature models, expanded its Pro and X Series, and unveiled the brand-new JS Series Spectra Bass range. EVH has dipped into its archives to recreate Eddie Van Halen’s iconic “Shark” guitar. The brand also unveiled a pair of new Wolfgang WG Standard Xotic models and some stylish finish updates. Charvel’s NAMM plans are underway with a slew of new guitars and finish options. Leading the way is the 40th Anniversary Custom collection, which features 11 Custom Shop models recreated from the brand’s original 1979 catalogue. There’s also a first-ever signature model for Angel Vivaldi, and an updated Slime Green Bengal finish for Rush Parrish’s signature model. Gretsch has launched an extensive line-up. Headlining the brand’s offering is a stunning Custom Shop 15th Anniversary ’59 Penguin NOS model. In addition, three staple lines – Electromatic, Player Edition, and Streamliner – have been updated with new models, pickup configurations, and arresting finishes. Fender is looking to start 2019 strong with an extensive line of custom shop models, additions to the Prestige collection, and some sweet masterbuilt amps. The brand previously launched a reissue of Jimmy Page’s iconic 1959 ‘Dragon’ Tele, which commemorates Led Zepplin’s 50th anniversary, and nods to Page’s enduring influence as a guitar icon. This special guitar comes hot on the heels of the newly minted American Acoustasonic Telecaster and American Performer series’. PRS has unveiled four fresh finishes for John Mayer’s Silver Sky signature model. This release swiftly follows the three new SE signature models and classy McCarty 594 Hollowbody II which were announced earlier this month. Back in November, PRS announced the first wave of its 2019 line-up, including a revamped “Paul’s Guitar”, an SE Custom 24 with Ziricote veneer, and a few handsome SE acoustics. Martin is striding into NAMM 2019 with some eye-catching lines. Just last week, the legendary acoustic guitar company unveiled stunning special- and limited-edition models, along with updates to its Dreadnought Jr and Road series’. These lines are joined by two Woodstock 50th Anniversary models and the newly-minted Modern Deluxe Series. Ernie Ball Music Man enters the NAMM fray with the 2019 John Petrucci Majesty model. Though the brand didn’t give much away in its teaser video, we did spot a ruby red-like flame top adorning the guitar. Vintage Guitars has unveiled the V120 and V132, two punk-inspired guitars that feature a classic single-cutaway design and black humbuckers. The brand also recently launched a trio of releases, including a tribute guitar to Mick Ronson, an updated VS6 line and a versatile bass. Fret-King has announced a second signature guitar for acclaimed guitarist, John Jorgenson. This axe comes with unique sonic appointments and a stunning Candy Apple Red finish. Epiphone’s DC PRO is a modern take on the brand’s 70s-era Del Rey Double Cut guitar. The axe is decked in an arresting AAA flame maple veneer top and shiny nickel hardware. Supro has released the David Bowie 1961 Dual Tone, an elegant hard-tail guitar that’s modelled after the Thin White Duke’s first-ever Dual Tone. Ibanez is set to take NAMM 2019 by storm with over 40 new models in the offing. The Japanese brand’s huge line-up includes a new Axion Line and signature models, additions to its RG, ART, and Hollow Body lines, as well as fresh updates to its acoustic and bass categories. ESP has launched an extensive preview of its 2019 line-up. The Japanese company is upping the ante with a massive number of updates to seven categories across its ESP and LTD lines. Schecter is already making waves with its 2019 line-up. As with previous years, the company has revealed a sizable collection: 16 electric guitars thus far, including Reaper models with arresting burl tops. 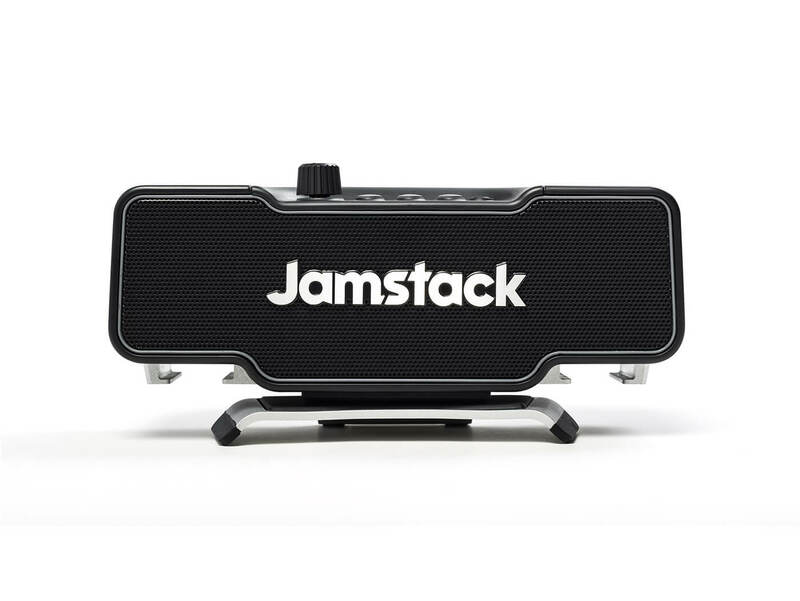 Jamstack has released a handy device that it’s calling the “world’s first attachable guitar amplifier”. With its portable, lightweight design and smartphone compatibility, this amp is built for jamming on the go. Victory has announced the new V140 Super Duchess amp. This unit delivers high-headroom dynamics, as well as a range of tones, including American cleans, tweedy grit, driven British blues-rock. Blackstar is gearing up for NAMM 2019 with a slew of new amps. The brand recently unveiled a signature amp for bluesman Jared James Nichols, which features clean and overdrive channels, as well as a footswitchable Bluespower voicing. This stunning amp will line up alongside the portable Super Fly Amp, the HT-1R MkII and HT-5R MkII amps, the HT-20R MkII amp and HT-212V MkII cab, as well as the all-new Studio 10 amp line. Boss has already dialled up the heat with the reveal of the Waza Tube Amp Expander, set for release in Spring 2019. Billed as a “first-of-its-kind tube amp command centre”, this gizmo represents the kind of innovation we’re hoping to see at the 2019 show. The company has also unveiled two new amps – the Nextone-Artist and Nextone-Stage – that we’ll definitely see at NAMM. Marshall has launched the Studio Series, a new range of three 20-watt amps inspired by legendary models. Peavey has joined forces with Misha Mansoor on the Invective.MH, a smaller version of the guitarist’s Invective.120 amp. This 20-watt amp head is equipped with EL84 power tubes shaped by three 12AX7 preamp tubes. Jimmy Page has announced a new amplifier of his own: the Sundragon. Released in commemoration of Led Zeppelin 1’s 50th anniversary, this hand-built beast is a faithful recreation of the amp Page exclusively used on the groundbreaking album. Vox’s preparation for NAMM 2019 is well underway with two additions to its VX amp line. The VX50GTV and VX15GT are digital modelling combos equipped with vintage amp emulations and a suite of in-built effects. Orange has shown its hand with the Pedal Baby 100 and TremLord 30. The former is a 100-watt Class A/B power amplifier, while the latter is a tube combo amp with features suited to the modern player. Headrush has released the FRFR-108 cabinet to complement its highly rated amp modellers. This lightweight unit packs 2,000-watts of amplified tone, and is designed for tonal clarity, punch and expansive headroom. Aguilar Amplification is warming up with the SL 115 bass cab. Joining the brand’s SL line, this compact cab is capable of producing deep lows, an articulate midrange and a smooth high-end. Supro is taking the vintage route with the Blues King 12 amplifier. This 15-watter is voiced for the sounds of early rock ’n’ roll and the British Invasion. Suhr has unveiled a load box that it’s touting as a speaker cab replacement: the Reactive Load IR. This nifty little device, as its name suggests, comes with 16 Suhr speaker cab impulse responses. You can also load third-party impulse responses via USB. Mesa Boogie hasn’t spilled the beans on its new guitar amplifiers, but the brand has unveiled three new additions to its Subway line of bass amps. 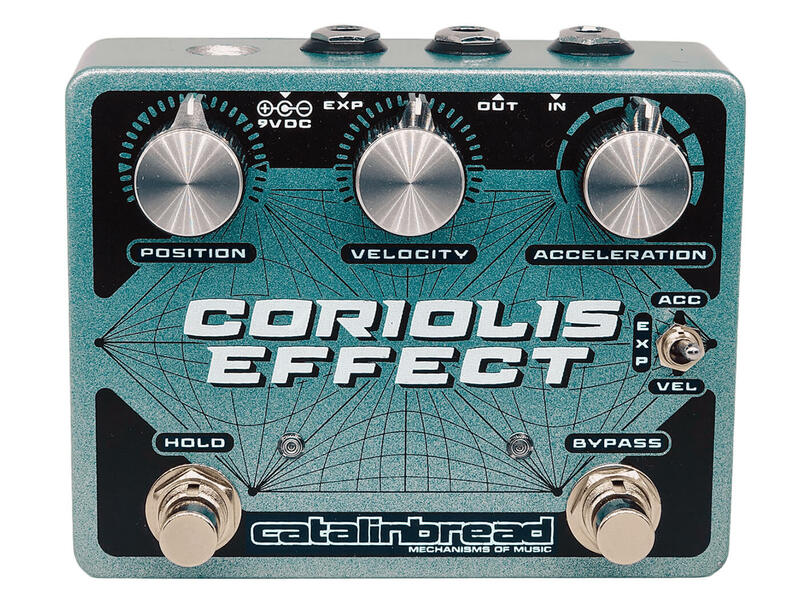 Catalinbread has unleashed the Coriolis Effect. Inspired by a phenomenon in classical mechanics, this multi-talented stompbox is a sustainer, wah, filter, pitch shifter, and harmoniser all rolled into one. Rob Chapman has launched a new pedal brand, Snake Oil, with two dirt boxes: the Marvellous Engine and The Very Thin. The former is a distortion pedal inspired by higher gain British amps, while the latter is a boost/overdrive pedal that’s voiced for smooth drive tones. Alexander Pedals has unveiled the Radical Delay DX, a device that features six interesting delay modes. You can use a Clock knob to adjust the bandwidth of these delay modes from 16kHz down to 1kHz. Noatronic is making waves with its Onboard Expression Receiver, an innovative device that lets you control your guitar rig directly from your guitar. Teisco has stepped back into the spotlight with three pedals: a boost, fuzz and delay. These stompboxes feature boutique components, and come at a wallet-friendly price point. Mad Professor has debuted the new Double Moon modulation pedal. This shiny gold stompbox packs a wide array of chorus, flanger and vibrato effects. Beetronics has unleashed the Swarm Fuzz Harmoniser. As its name suggests, this device combines fuzz tones with a harmoniser effect, creating a sound akin to the buzz of a thousand bees. Electro-Harmonix is creating a buzz with three new pedals: the Attack Delay, Mono Synth, and Bass Mono Synth. This latter is loaded with 11 bass synth presets, including vintage synth emulations, thick voicings, as well as deep, thumping tones. In early December, the brand also announced three new guitar pedals: the Sovtek Big Muff Pi, the Nano Battalion and the Flatiron Fuzz. These stompboxes are likely to take center stage at EHX’s NAMM showing. Dunlop has kick-started its NAMM run with new MXR and Way Huge pedals, as well as a Billy Gibbons-inspired fuzz box. This is the second wave of releases from the brand, which unveiled a trio of new products in November. Seymour Duncan has joined forces with Periphery’s Mark Holcomb on a new delay and ’verb unit. Dubbed the “Dark Sun”, this stompbox aims to deliver warm and clean digital delay, as well as a lush hall reverb. Xotic has unveiled two diminutive stompboxes: the Super Clean and the Super Sweet. The former is buffer pedal that prevents signal degradation and offers up to +12dB of clean boost. The latter is a booster pedal featuring a Class A preamp – modelled after the famed JRC4558 chip – that provides up to +20dB of gain boosts. Keeley is creating a buzz with two new stompboxes: the Fuzz Bender and DDR. The former is a three transition hybrid fuzz, while the latter is a drive, delay, and reverb hybrid. Strymon has unveiled the mind-boggling Volante pedal. Dubbed as a “magnetic echo machine,” this powerful device equips you with an excellent selection of effects, including three vintage echo emulations, a sound-on-sound looper and a vintage-leaning spring reverb. Eventide has debuted the Rose, a super-modulated, digital delay pedal with an all-analogue circuitry. This stompbox has a unique design that differs from DSP-based effects, enabling to produce an array of sounds that range from lush textures to experimental compositions. Walrus Audio has released the Lillian Analog Phaser, an all-analogue, multi-stage phaser that’s named after WWII pilot Lillian Yonally. It features a familiar control system modelled after Walrus’ popular analogue chorus/vibrato unit, the Julia. Supro has hit the ground running with its 1313 Delay, an all-analogue pedal that serves up some buttery delay sounds. This stompbox is designed with high-voltage MN3005 bucket brigade IC chips, which cater for sweeter-sounding echoes, extra headroom, and a wider dynamic range. Nexi Industries has unveiled some unique artist signature pedals. These include two analogue stompboxes for Skunk Anansie’s Ace, as well as a collaboration with Orianthi on a series of pedals. Revv is pulling no punches with its G4 gain pedal. This amp-in-a-box unit is capable of sledgehammer-like distortion, saturated leads, and a dynamic blues tone. EarthQuaker Devices has released the third edition of its popular Dispatch Master pedal. This digital delay and reverb unit comes with the brand’s new Flexi-switch. Earlier this month, the brand also made its entry into junction box game with the multi-talented Swiss Things Pedalboard Reconciler. Morley is zeroing in on NAMM 2019 with the ABY and ABC Pro Selectors. Based on the brand’s original units, these devices enable you to seamlessly switch between multiple amplifiers. LR Baggs expands its Align series with chorus and delay units. As with the other pedals in this range, these effects are specially tuned to acoustic guitars. Joyo keeps ’em coming with the R-series’ Cab Box, OMB Looper/Drum Machine and Aquarius Multi Delay & Looper. These three units are set to lead the brand’s line-up at NAMM. Ernie Ball has uploaded a teaser for its VPJR tuner. According to the brand, they’ve “reimagined and reengineered” their iconic volume pedal with an integrated high resolution tuner. Lowden is launching a new line of strings which are designed to last longer, and can enhance the tone and musical character of your guitar. These strings are spec’ed to a custom gauge and wrap ratio that are specific to a Lowden guitar. Nexi Industries has introduced the Nexi Powered Pedalboard, a portable device perfect for the gigging musician. This unit can accommodate all of Nexi’s Click ’n Play pedals, and can connect to other stompboxes via a conNEXI adaptor. Peterson has launched the StroboStomp HD floor tuner. This useful tool comes with a big HD LCD screen – that lets you tune up under harsh lights – and assignable display colours. EHX has unveiled a new range of electric guitar strings that are designed for great intonation and plenty of sustain. These strings are constructed from steel components and have undergone a precise, computer-controlled winding process. 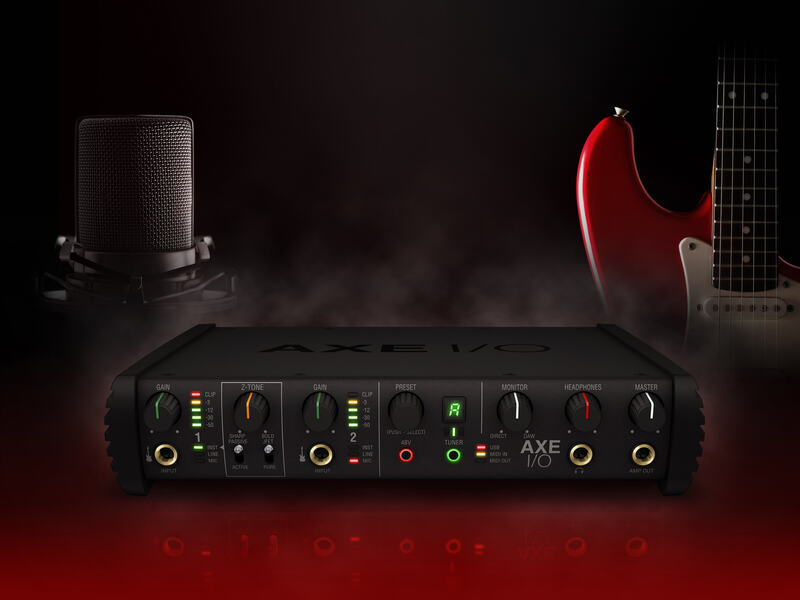 IK Multimedia is leading the charge on the interface front with the guitar-centric AXE I/O. This compact device is designed to capture your guitar’s tone in pristine form. Previously, the brand debuted the SampleTank 4, a workstation with professional-quality sounds, powerful editing capability, diverse effects and an intuitive interface. If you’re looking for monitors, synths and other music production gear, check out this post on our sister publication, MusicTech.net.